Zinc Nickel Electroplating offers significantly better corrosion resistance than Zinc plating. This is achieved by adding Nickel, which slows the corrosion process of the Zinc. Similar to Zinc plating adding passivates or top coats will enhance the corrosion resistance significantly. 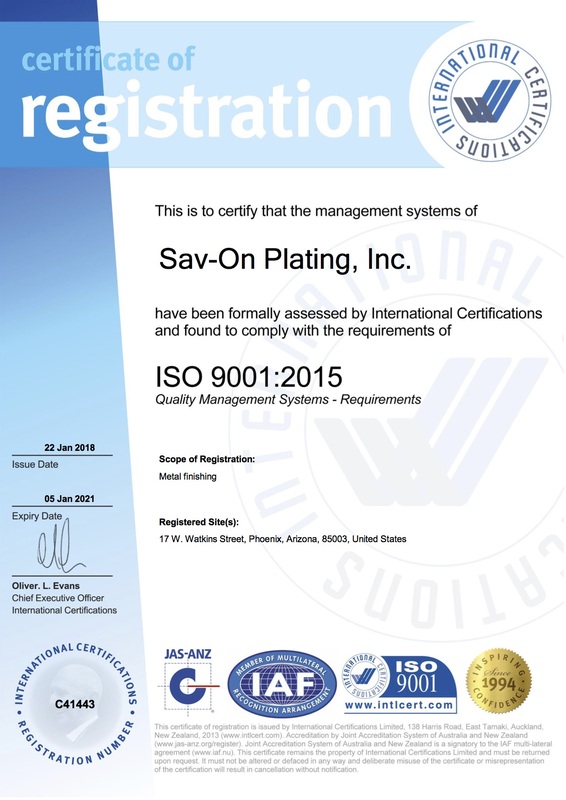 Sav-on Plating is capable of plating Zinc Nickel to many specifications and is applied in a barrel application. We have been assessed by the international certification and adhere to the aformentioned ISO standards.